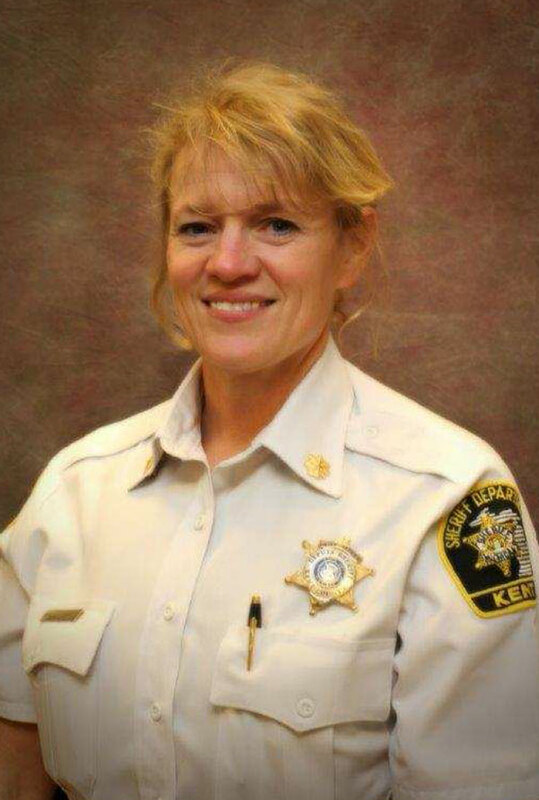 Michelle LaJoye-Young, formerly Chief Deputy of the Kent County Sheriff Department, was promoted to Undersheriff on June 1. She is the first female to serve in the position of Undersheriff for Kent County. Young started her career at Kent County when she was hired as a Corrections Officer December 11, 1989. She was promoted to Sergeant assigned to Records Bureau July 11, 1994; promoted to Lieutenant November 29, 1999; became a Captain January 1, 2007; and promoted to Chief Deputy January 1, 2011. Young served in the Army National Guard and Reserves starting in 1985 and left as a Captain in 1998. She attended Grand Rapids Community College Police Academy; obtained her Bachelors Degree in Criminal Justice from Michigan State University and Masters Degree in Public Administration from Western Michigan University. She graduated from Northwestern University School of Police Staff and Command in 2012. Young represents the Sheriff’s Office and Kent County on a variety of committees locally, statewide and nationally. As Chief Deputy, Young was one of the officials instrumental in putting together the package for the City of Cedar Springs, when they decided to contract law enforcement services with Kent County. Young replaced former Undersheriff Jon Hess, who recently retired.